Training The Shoulders With The A.R.T. System™. Because using only heavy weight will bring you limited results, the best is to learn a new and effective way of training - A.R.T System™ (auto-regulation-training). 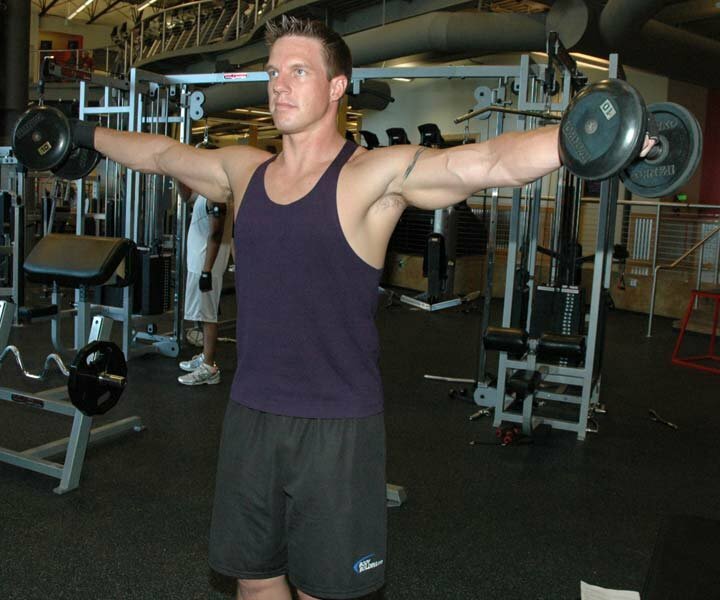 Below is my recommendation for an efficient and complete shoulder workout. Most of the people at the gym train too heavy, especially for the shoulders which must be done with precision to target each and individual part of the deltoid. Why do people train heavy simply because it's the actual tendency and also the most common used training method, people think more weight equal more results, I must say it s not that simple. Because using only heavy weight will bring you to limited results, the best is to learn a new and effective way of training which is a flexible and personal training approach using for example the A.R.T. System™ (auto-regulation-training). 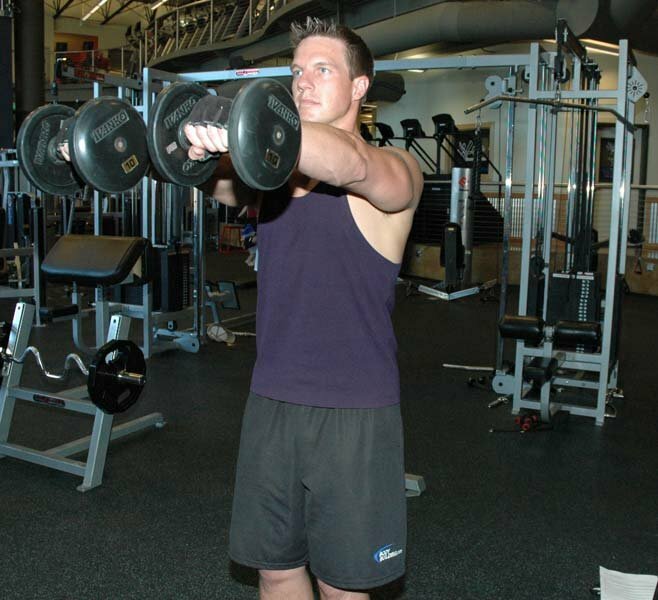 Below is my recommendation for an efficient and complete shoulder workout which I called the intense training cycle. Note: This training is for advanced bodybuilders. This workout is an alternative to heavy training. You increase the intensity level by doing a maximum of work in a short time. You increase the difficulty for the muscle without using heavy weight. 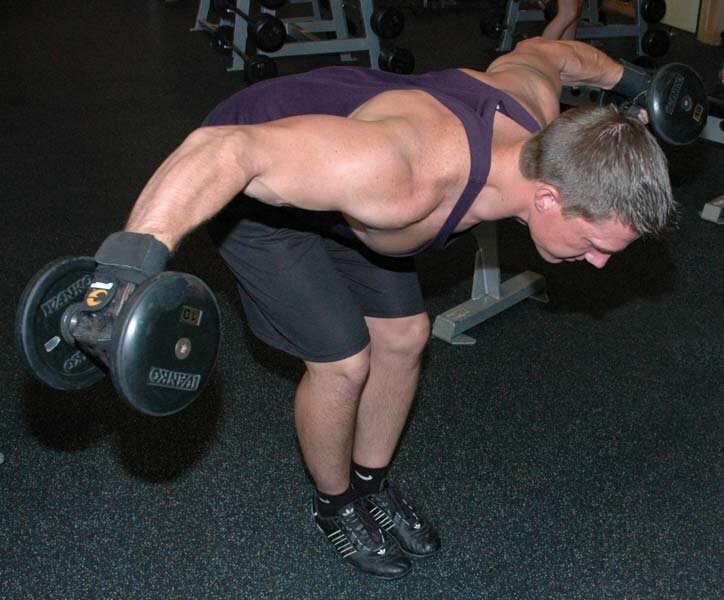 With this training all three deltoid heads (front, side and rear) are equally trained. You see heavy here is secondary, our goal is to make the muscle to struggle with form, respecting the correct angle of work with muscular control. Here for the first exercise I choose 6 kg—remember it's a technical exercise—I have to focus on form, that's why the weight is not heavy, I go up with my elbows slightly bent until my arms are parallel to the floor, I hold briefly for one contraction and slowly lower the dumbbells to the starting position, I change the angle of work, I raise in front my dumbbell to eye level, and slowly lower the dumbbell to the starting position, then I repeat the exercise for 8 to 10 reps. Right after finishing my first set I grasp my 25 kg dumbbell to perform the second exercise with an iso-tension technique (same speed). 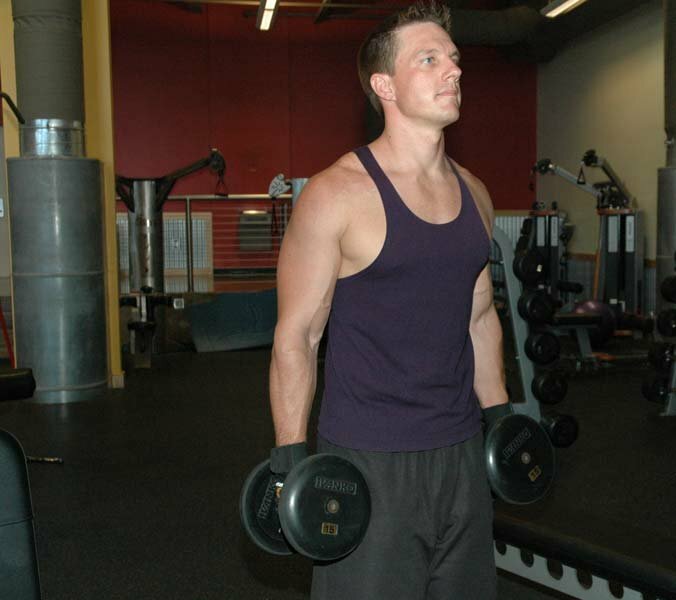 During the entire set, in muscular-control, I push the dumbbells directly upward until they touch each other and return to the starting position with a non-stop movement during the entire set for 8 to 10 reps. I recommend performing this first tri-set at least 3 times to a maximum of 4 times if needed, remember you need to have a certain volume of work to stimulate your deltoids enough to progress. Lying face down on the 30 degree incline bench for the first exercise—with 8 kg, keeping elbows slightly bent—I raise the dumbbells laterally until arms are parallel to the floor. Then I slowly lower the dumbbell to the starting position for 8 to 10 reps.
Next, I go to the standing dumbbell bent laterals and perform a set of 8-10 reps with 10 kg dumbbells—bend at the hips until the back is parallel to the floor. 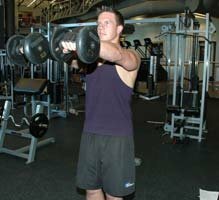 Keeping elbows slightly bent, raise the dumbbells laterally in an arc like motion until arms are parallel to the floor, then slowly lower the dumbbells to the starting position. 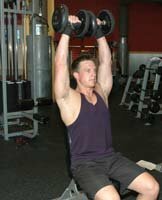 Standing pulley bent laterals with 15 kg on each side—bend at the hips until the back is parallel to the floor. While keeping elbows slightly bent, raise the loop handles laterally in an arc like motion until arms parallel to the floor, then slowly lower the loop handles to the starting position for 8 to 10 reps.
Like you could see, I didn't train with heavy weight in here with these 2 different trisets. Remember that the shoulders are small a muscle group, especially if you train a specific part like the medial deltoids or the posterior deltoids in isolation like we did and with a tri-set method (3 exercise in succession). 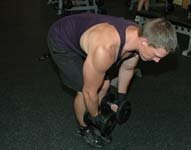 When we perform 1 exercise at a time, we can train with more weight, especially if you use a compound exercise like dumbbell press for the shoulders - during this exercise not only do the anterior deltoids push the weight up but also the upper chest and triceps who collaborate in synergy, plus the effort is on 1 exercise at the time. 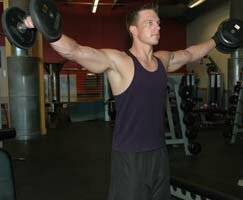 This shoulder training program is one example of an intense training cycle, which is maximum work in a short period of time, that's the difficulty!